EL84 = 6BQ5 PREMIUM "BUGLE-BOY" EL84. With Matching Date Codes, same production! Made in the Philips Wiener Radio Werke Austria Factory in 1966. 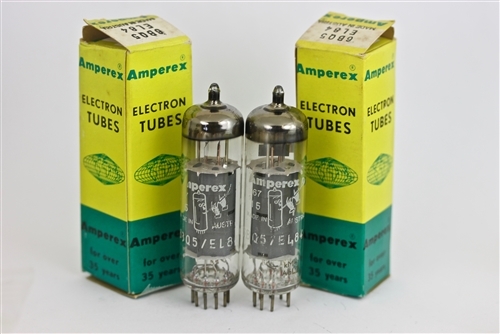 These are rare NOS Philips Amperex Austria EL84 produced for the "bugle Boy" brand were made in Austria in the 1960's. Excellent choice for Dr. Z MAZ Amps, VOX AC30, MARSHALL, Gjika AMPS, and other botique amps, as well as Audiophile EL84 Amplifiers supporting 13.5 watts max plate dissipation @ 450V max plate volts. 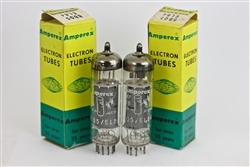 Make sure you are buying Real EL84 tubes - They have large halo-getters, 6 x rectangular holes ( with stapled plates) and the FACTORY ‚ codes in the glass. 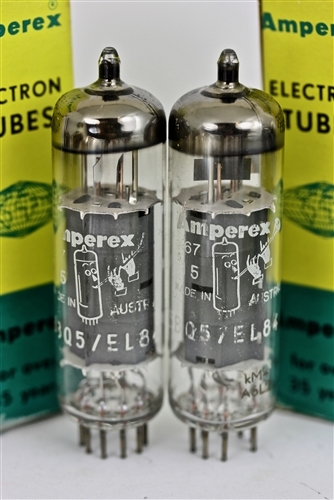 AMPS SOUND BEST with real EUROPEAN EL84!